2016 - Today : Architecture and Design Manager at Colliers International France in Lyon / I'm in charge of managing a team of 10 experts in Architecture and Interior Design. I've worked with numerous corporate clients on a wide variety of space planning and office/building fit out assignments. My extensive experience as project manager , combined with my technical architectural studies have allowed me to develop various skills including anticipating and perfectly understand complex real estate issues, helping corporate organisations better prepare their organisations for the future. Before joining Colliers, I worked at SOA agencement and was an independent architect for 5 years. Before that I was head of department for 10 years. 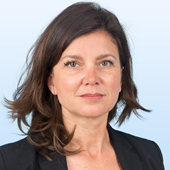 Since 2015, I’m Project Manager and Interior Designer at Colliers International France. My mission is to pilote architectural projets.